We appreciate your interest in Greek Life at EIU. 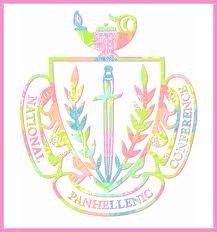 We are so proud of our 9 Panhanellic chapters that call Eastern home. Whether you are hoping to find life-long friendships, networking connections in future professional endeavors, leadership opportunities, or help from older sisters academically, it can be provided to you through any of the outstanding chapters here. Joining Greek life is a wonderful way to make the campus seem smaller. Each chapter is unique but the same in that it has wonderful, life changing opportunities waiting for you! Please contact us with any additional questions or concerns! Go Panthers and Go Greek! !